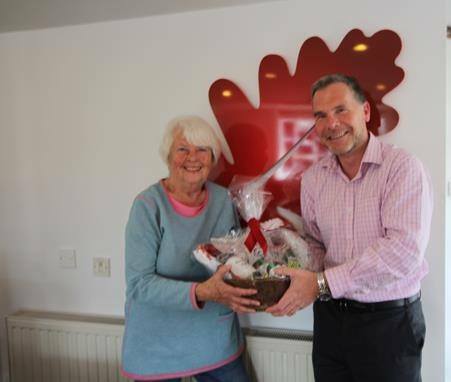 Jason Hooper, Associate for Luscombe Maye in Yealmpton, recently presented Pat Ward, on behalf of the Dementia Friendly Parishes Around the Yealm, a charity hamper. The donation will be raffled off at a Folk Evening the organisation has arranged on 8th June at the Royal Western Yacht Club. Huge thanks to Luscombe Maye for their generous donation at our fund raising evening with the Silvingtons.